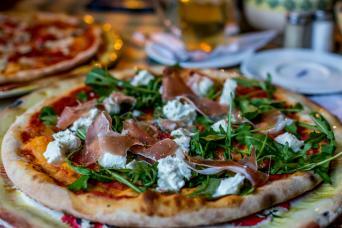 Italian cuisine holds a special place in many of our hearts, and a cycling tour through rural Italy is surely one of the most relaxed ways to enjoy delicious, rustic, locally sourced and produced culinary delights as you move from picture postcard town to historic village, to aromatic vineyard. The Barolo region is a haven for food and drink and for a sheer immersion in gastronomic pleasure you can cycle from Parma to Bologna. Italy produces the largest amount of wine in the world, and a cycling holiday through the vineyards of this outstandingly beautiful country is the perfect way to explore rolling countryside and pretty villages & towns, enjoying the best locally produced wines at the end of your day. Complete relaxation! If you love food, wine, and cycling, then a cycling tour in Italy is a great way to truly experience the local produce and hospitality of this outstanding and diverse country. Discover the signature dishes and medieval towns of Emilia Romagna on this food lovers cycling tour from Parma to Bologna, spending each night in atmospheric, historic 4* hotels.